Reiki is a simple, gentle and yet very effective method of healing the body, mind and spirit and has something to offer everyone. Modern Reiki traces its origins to Dr Mikao Usui, who developed the original Reiki method of healing in the late 1800’s. 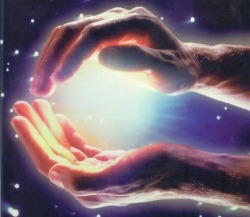 Reiki can be defined as Divinely guided life force energy. The word Reiki is composed of two words – Rei and Ki. The word Rei can be described as Higher Intelligence, Universal Wisdom, God, Source, The Infinite or any other name depending on the culture. The word Ki is the non-physical life force that flows in and permeates all living things. For example – if a person’s Ki (energy) is high, then that person will generally experience good health and well-being. If the Ki is low, the person may feel out of sorts and will be more likely to get sick. Our health and well-being depend greatly on the manner in which the Ki or life force energy flows around and through us. The human body consists of physical and chemical elements as well as a subtle energy system through which this life force flows. This energy system is made up of an energy field which surrounds and interpenetrates the physical body and is called the aura. It contains our life force, thoughts, feelings, beliefs and attitudes – both positive and negative. It also contains information about the state of our physical body, our inter-personal dynamics, our past, our future, our potentials and many more. In the aura, there are centres called chakras. These work like computers and manage the circulation of energy throughout our system. Each chakra deals with specific areas of our experience and particular parts of our body. It therefore follows that anything that restricts the flow of life force energy, will affect our energy field and therefore our physical body. All negative thoughts and feelings for example, cause disruption in this flow. The great value of Reiki is that because the Higher Intelligence guides it, it knows exactly where to go and what to do in order to deal with the restrictions in the flow of our life force. As Reiki flows through unhealthy areas, it breaks up energetic obstructions, clears out the energetic waste of negative thoughts or feelings and therefore allows a more optimal flow of life force energy to resume. As this happens, the unhealthy physical organs and tissues receive what is required for the healing to take place. Difficulty in being able to prioritize and focus?